The Big News in Military Disability: Some Good News From The VA! There have been a few good things happening at the VA that you should be aware of. First, the new VA Secretary, Robert McDonald, has instructed all VA facilities nationwide to hold at least one town hall meeting between now and the end of September. At each of these meetings, the veterans will be invited to share thoughts and give feedback to the VA about the changes that they are planning. This is a GREAT opportunity to really let your voice be heard! All veterans and families, Veterans Service Organizations, and community organizations and partners are invited to attend these meetings. Check with your local VA facility to find out when and where a town hall meeting is scheduled for your area. 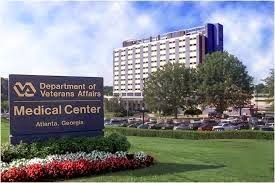 Second, on August 13th, the VA announced that it is expanding its Patient-Centered Community Care (PC3) program. The VA uses PC3 to purchase non-VA care when it can’t provide a specific treatment (for example, when surgery or hospital care is needed and the only VA facility close by is an outpatient clinic) or when it would be better for the veteran to receive treatment closer to home (such as when transportation is difficult for a Disabled American Veteran). The VA can also use PC3 to help reduce wait times. The PC3 program already allows eligible veterans to receive non-VA care in several areas, such as Mental Health, some Emergency care, and both inpatient and outpatient Specialty Care (things like cardiology or neurosurgery). Now they are adding Primary Care, which includes Family Practice, Internal Medicine, and Ob/Gyn—providing veterans with even more options for receiving care. It’s good to see that the VA is actively taking steps to help meet our veterans’ needs.